RUSSIN, VECCHI & HEREDIA BONETTI (RV&HB) is the office affiliated in the Dominican Republic of Russin & Vecchi, an international firm of lawyers with presence established in Asia, Europe, North America and the Caribbean. It was founded in 1969 and its composed by a team of professional multilingual lawyers specialized in the most various law areas, that make possible the satisfaction in all sides of requests of legal counsel for our national and international clients. RV&HB is a firm committed with excellence in the services that it provides and, the innovation, advance and improvement of the legal climate and of business in the Dominican Republic. 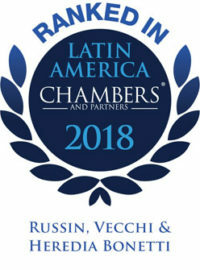 On these bases, by means of an ethical professional exercise and supported in the quality and experience of its administrative and professional personnel, Russin Vecchi & Heredia Bonetti has achieved continuance and a growth maintained in the market of legal services, being positioned as one of the leaders lawyers offices in the national like International environment. The firm is the only one that represents MERITAS in the Dominican Republic, a globally recognized association of independent lawyers specialized in business and lawsuits, with representation in over 70 countries, which permits to offer legal aid to our clients in all those jurisdictions. 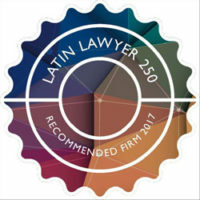 Through its lawyers, selected on the base of its professional merit, supported mainly in high standards of capacity and expertise, the firm has contributed in a significant form to the reform and legislative modernization of the Dominican Republic, and to the diffusion of the same one by means of publications in Spanish and English. The firm sponsors magazines in schools of Law of the country –known in the United States as “law review”- to achieve the same objective. Monthly it presents different seminars and sponsors publications on diverse legal themes of business interest, besides promoting debates among lawyers on key pieces of legislature of the present time. The firm works with ASIEX, the Dominican Association of Businesses of Foreign Investment, Inc. to produce the guide “How to Invest in the Dominican Republic” with an emphasis in the laws that regulate and they impact in the business task. RV&HB has created in the Dominican Republic a definite type of legal practice, which has assured its participation in the coordination and execution of important transactions and national and international projects in different matters, such as processes of integration by means of fusions and acquisitions, concessions and privatizations, structure of national and international financing, financial restructuring, hereditary organization and tourist and real estate development of projects. The firm gives legal counsel to many clients in the classical areas of the Law as in the most modern and innovative, having accumulated during decades a significant experience, that besides of being valued by our clients, is appreciated and chosen by the better recently graduated lawyers to initiate their careers. 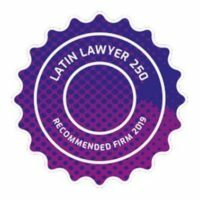 A testimony of this excellence is that a significant number of the most prominent offices of lawyers in the Dominican Republic have been established by youths coached in Russin, Vecchi & Heredia Bonetti. Russin, Vecchi & Heredia Bonetti values loyalty, professionalism, ethics and fellowship. Meritas firms, in order to maintain their membership, must comply with strict quality standards and must undergo a rigorous evaluation and certification process called “Quality Assurance Recertification” every three years. This program assures our clients a high level of quality of legal services, comfort, consistency and value. Meritas selects its members by invitation only, RV & HB is a member firm of Meritas since 1994.